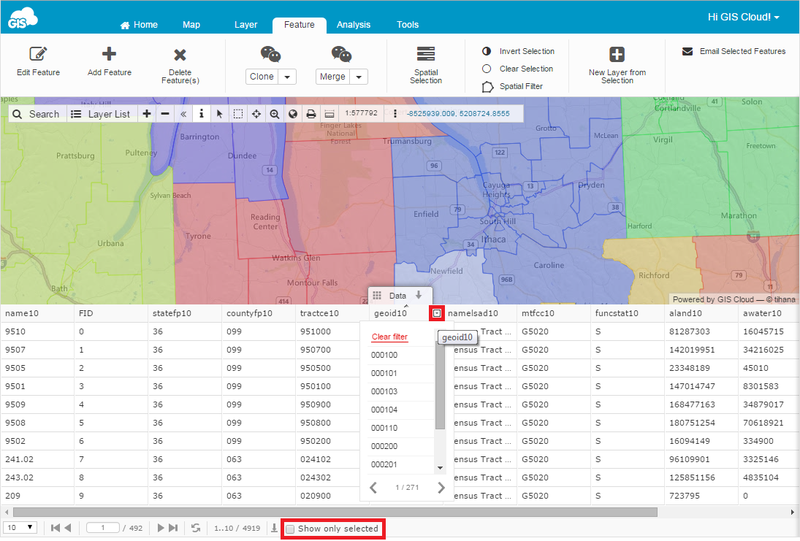 Data filtering tool allows you to filter, find and visualize features by its attributes. In Data table click on a filter tool in attribute field of your choice. Only those features you have selected will be visible in the Data panel. To visualize only filtered features on the map click on the Show only selected option in the bottom of the panel. You can also filter data by multiple attributes. You can add as many filters as you want and also clear them one by one. 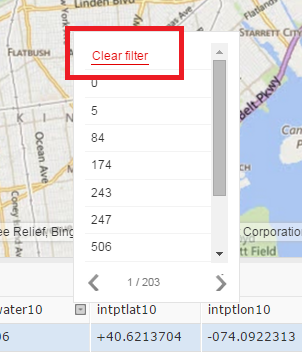 To clear filters simply click on the filter tool and select Clear filter option.